Mention the word “office,” and most people picture a drab space with dull-colored walls. However, a brightly decorated workplace has been shown to have positive effects on mood and productivity. 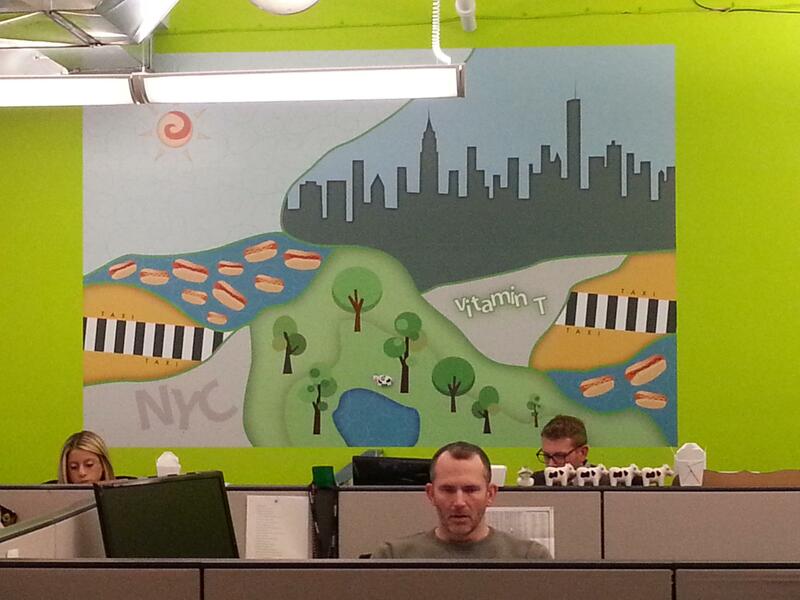 One way to liven up your business environment is decorating with vinyl murals. According to Signarama Farmingdale, a leading sign shop on Long Island, NY, there are several benefits to having wall graphics. The first thing potential clients and visitors see is the lobby, so spruce it up with creative wall graphics for a more welcoming environment. You can either showcase the company’s mission statement to motivate current and prospective employees or add creative advertisements for your services, which can leave an impression on customers. If your office doesn’t have a room with a breathtaking view, create one. Many sign shops can print large-format graphics mimicking realistic photographs that you can apply easily to office walls. If you change your mind about seeing a city skyline, switch it up with a forest or seaside scene. Custom vinyl murals can cost a fraction of what professional wallpapering and painting services run. Some sign shops offer both permanent and temporary installation solutions, so you can even replace the wall decor for a specific occasion or event. Vinyl murals are also easy to maintain and durable. Studies prove happy workers make harder workers. Colorful and creative graphics on the walls can be effective mood boosters, thus leading to more productivity and creativity. Consider installing serene murals in break rooms as well to keep them refreshed and energized. Incorporating brand logo, colors, and slogans in your decor can reinforce and communicate the company’s identity to everyone in the organization. You can place vinyl decals nearly everywhere in the office, which can serve as reminders about your brand, history, and company culture. If you need murals to communicate a message or enhance the look of your office, turn to Signarama Farmingdale for high-quality prints and signs. From design to installation and repair, this sign shop will ensure total satisfaction. Call (516) 756-0040 to learn how they can help with indoor signs, or visit their website for a complete product list.